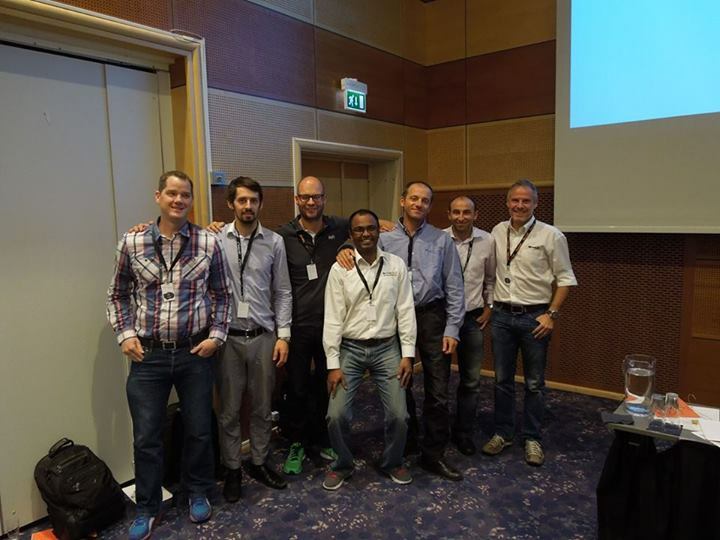 Last week, Sandro Pereira joined his fellow BizTalk MVPs for another successful Bouvet BizTalk Innovation Day 2013. The biggest BizTalk event organized in Scandinavia this year had approximately 70 attendees from Norway, Sweden, Italy, Check Republic and Portugal. First day had presentations from six Microsoft Integration MVP’s (BizTalk), together with Paolo Salvatori (Principal Program Manager of Windows Azure Customer Advisory). Second day was dedicated to a more interactive hands-on labs, were each speaker had his own room and hourly time slots. Attendees could come in for a focused meeting, discussing their issues, asking questions or sharing their experience with the speakers/moderator. This year Sandro is focusing on Best Practices and Patterns. After years of integration projects we find many ways to solve the same problems. Sandro prepared 14 different labs, each describing one set of problems (Pattern) and how to address these common message transformation challenges (Best Practice). This was the sixth BizTalk Innovation Day event (the third this year), and we are proud to be part of one of the most important integration events series occurring in Europe. Interested in a future meeting? Please join us in the next event in Italy (October 16)!